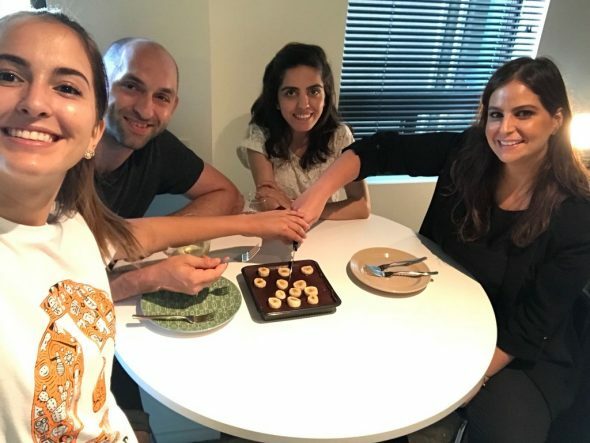 It is often said that food brings people closer, so four international friends decided to put this to the test while sharing cooking tips and tricks. We began our cooking adventure listening to a variety of Lebanese and American pop music. Rula and Benazir began preparing the pasta dish while Balint worked on preparing the sauces for the chicken dish. Heather was tasked with blogging and photography as well as being the taste tester, a highly coveted position. After preparing the pot of boiling water, Rula began to get to work on the pizza evenly spreading the sauce onto the thin crust and covering every inch in mixed cheeses. We were all big fans of cheese, so you can imagine how covered the pizza was. If not, feel free to check the pictures. 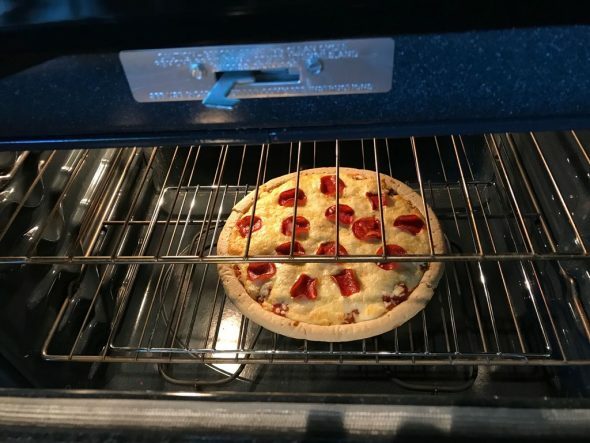 She then began to layer on turkey pepperoni’s all over the pizza and slid it into the oven for 20 minutes. As the pizza was cooking, Rula put the fettuccine in a boiling pot. Balint was working on preparing a traditional Hungarian chicken dish with potatoes and spinach. 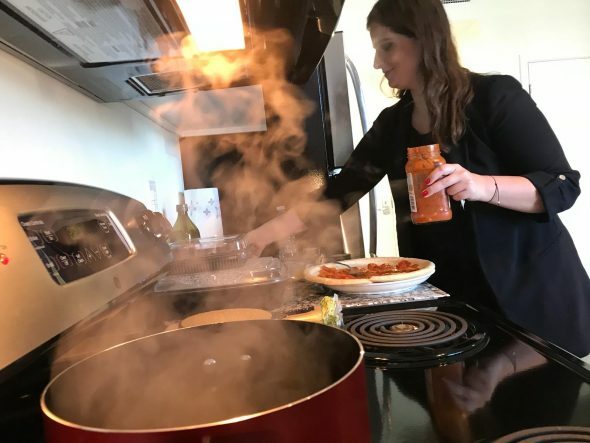 The delicious scents began to fill the entire apartment and our stomachs began to growl in anticipation. As pesto was mixed in with the pasta, all that was remaining was preparing dessert – brownies with bananas slices on top. Our feast was coming together just as planned. 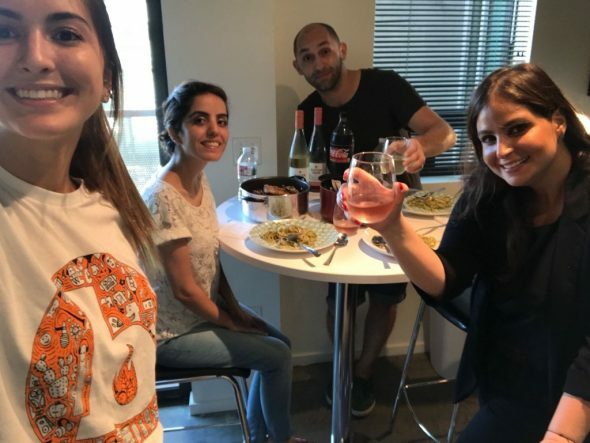 We began to plate everything and open a bottle of Coke, rosé and white wine. The conversation halted while everyone stuffed their faces and then continued on as lively as ever. The dishes were exceptional! Everything went according to the plan proving that food brings people together allowing us to embrace our cultures, get to know each other better while filling our bellies. A delicious dinner with divine company! Heather, Balint, Benazir and Rula cutting into dessert. 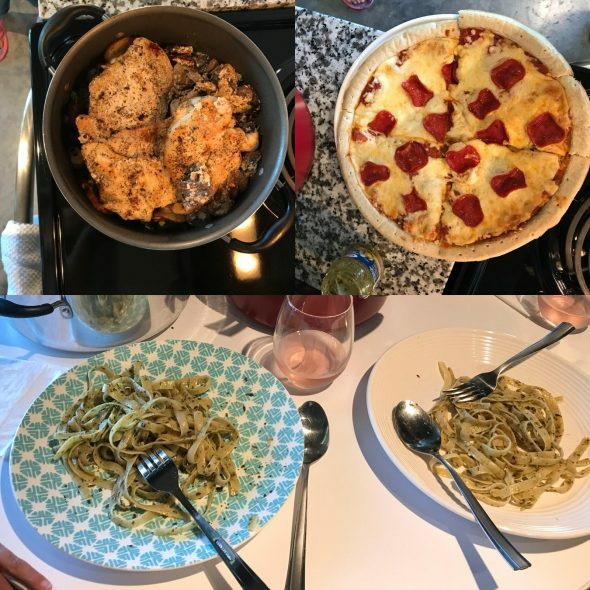 A successful cooking day! Written by: Rula Rizk on September 10, 2018. That all looks absolutely delicious! Also, what a brilliant idea to listen to music from each of your countries. I also love how you wrote it almost like a story!